Julie Bishop was told to "dress appropriately" by a PM's advisor. 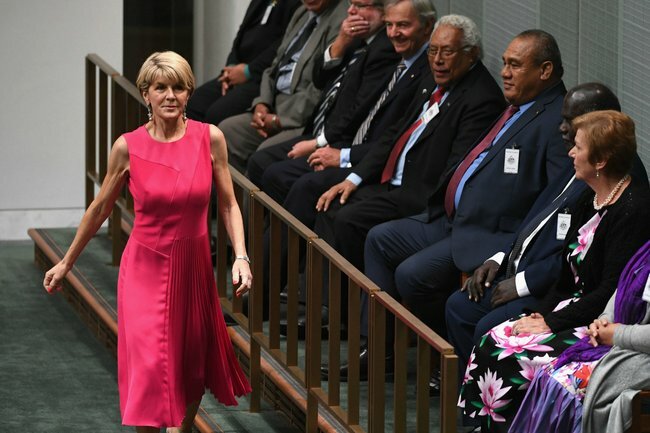 A little over a decade ago, there was a shift in the way Julie Bishop dressed, the choices she made to present herself, visually, in parliament, to the public and the media. The strings of pearls disappeared. The brooches and brightly coloured jackets vanished. In their place were Armani suits, little black dresses, crisp white shirts. It was more than a natural evolution, the kind we all go through as we adapt (consciously or not) to prevailing trends. No, this was sharp and, as it turns out, deliberate. 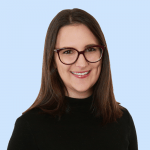 Speaking to Mia Freedman on Mamamia‘s No Filter podcast, the former Foreign Minister, who announced her departure from politics in February, said her style shift was a process of reclaiming her identity – of which fashion has long been an integral part. Listen to Mia Freedman interview Julie Bishop on No Filter. Post continues after audio. Julie Bishop as Minister for Ageing in 2003. And Julie Bishop in 2018. Images: AAP/Getty. There are those who would argue that fashion-talk is frivolous when coming from the mouth of a politician - a three-time deputy leader, no less. But Julie Bishop doesn&apos;t see it that way. "I don&apos;t apologise for it," she said. "It&apos;s who I am, and if you want authentic politicians, you&apos;ve just got to accept the fact that I love fashion. I always have, and I always will." In fact, by conspicuously supporting Australian designers (Rachel Gilbert is among her favourites) on the world stage, Bishop has sought to demonstrate the power and potential of the local industry. As someone with that kind of fashion consciousness, it&apos;s little wonder her choices are watched so closely, often dissected as keenly in the political pages as they are in glossy fashion mags. A flash of the iconic red sole on a pair of $1500 Christian Louboutin heels is enough to raise eyebrows and fire up her critics. But Bishop&apos;s office has always stressed that her wardrobe is paid for out of her own pocket - not her taxpayer-funded clothing allowance: "I do my own hair and makeup, and I don&apos;t have a stylist," Bishop said. "I do my own clothes shopping." Then there&apos;s questions about whether there&apos;s meaning behind certain outfit choices. 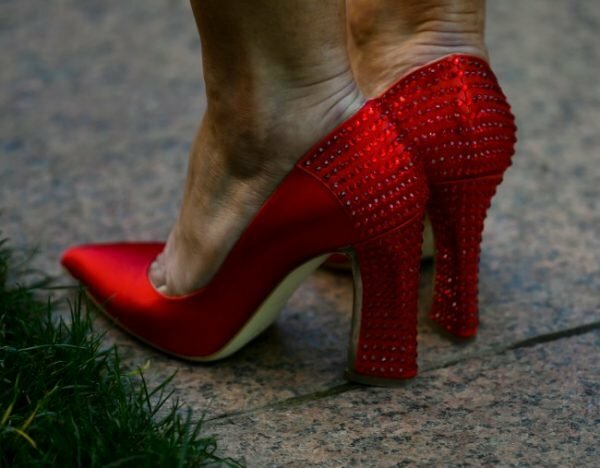 Choices like the red satin shoes she wore to resign as Foreign Minister during the 2018 Liberal leadership spill. It was a tousle that came amid swelling allegations of sexism and bullying of female MPs in parliament, and when Bishop stood tall in bright, bejewelled heels among a sea of black and navy-clad men, it was seen as statement of feminine power. The shoes became so iconic, that Bishop has since donated them to Museum of Australian Democracy. But was her colour choice deliberate? "There is symbolism in what you wear as a public figure, without doubt, and I&apos;m conscious of that," she said. "I don&apos;t get up in the morning and think, &apos;Now, what statements shall I make today?&apos; And therefore I&apos;ll choose that. But I wanted to wear something that was fresh and bright, and didn&apos;t melt into the green of the House of Representatives." Now a private citizen, Julie Bishop is away from that bluegum-tinged room, from advisors with arbitrary ideas about colour and cardigans, from the need to send signals with a pair of block heels. But as she explores what steps to take next, there&apos;s no doubt she&apos;ll be taking her fashion with her. "I now dress very much myself. And sure, you get criticised for it. But if I feel comfortable and if I&apos;m happy with what I&apos;m wearing, that&apos;s enough." “We could be jailed for doing what we did here”: Josh and Sean Szeps on becoming fathers in Australia.